If your summer is progressing just as nicely as ours, you're probably basking in glorious sunshine each and every day. Such a shame that all that energy can't be used for something other than giving you embarrassing tan lines. 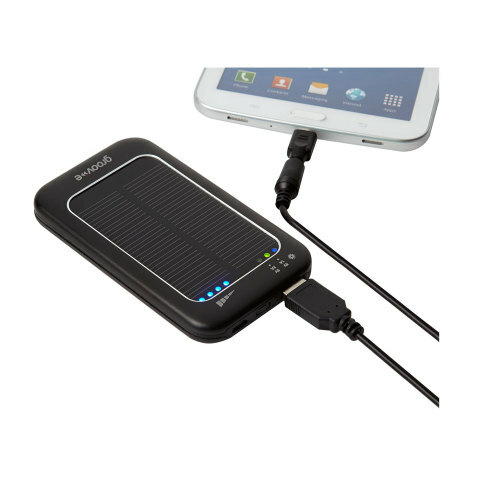 Well now it can, and it's all thanks to the Groov-e Solar Charger. We all know what a portable battery is (we certainly do, as we've reviewed about six million of them): an additionally charged unit that you can plug your phone or table into to draw extra juice when you need it. They are always very handy to carry around, especially when you're concerned your phone might run dry when you need to make that all important call. Well how about a portable power pack that can charge itself, and prove especially useful at this time of year? The Grove-e Solar Charger is a miniature solar panel attached to a portable 3600mAh battery. This means that even once it has given over all of its power, it can recharge itself via the sun. This means that if you're going to a festival this summer, or planning long hiking weekends to the middle of nowhere, this is invaluable. Of course it is still possible to charge the Solar Charger via the included USB cable, and this will take about four hours to juice up fully. Once full it can charge an iPad or tablet to full capacity, a smartphone to full two or three times, and an iPod or MP3 player five or six times. 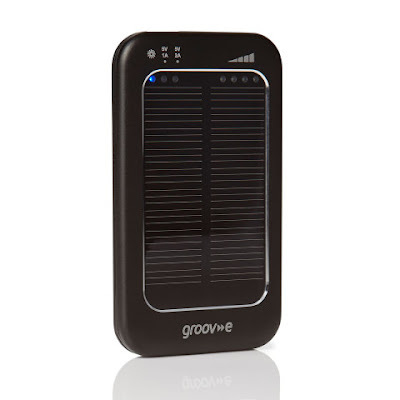 Then, once drained, simply leave the Groov-e Solar Charger in the sun for up to 25 hours, and that battery will be full again. The speed at which your phone will be charged by the device was also pretty impressive, and after hooking up a flat Samsung Galaxy Note 3 to the Groov-e Solar Charger, we discovered it was fully charged just two hours. Also, after just five minutes of charging, we were able to use the phone to make a call, so if you found yourself in a pickle in the middle of nowhere (such as having forgotten the Pimm's during the picnic) you can rest easy that help is but a call away. 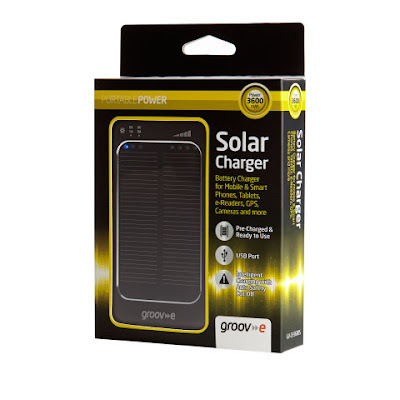 A great and useful gadget that can easy sit comfortably in your pocket or bag, the Groov-e Solar Charger is a must-have device for your summer adventures.